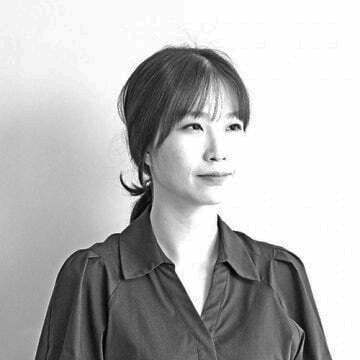 UPDATE: This article was amended at 1145 KST to include comments from Kim Dong-yub, Professor at Institute for Far Eastern Studies, Kyungnam University and South Korean Joint Chiefs of Staff (JCS). Kim Jong Un on Sunday supervised North Korea’s second test launch of the Pukguksong-2 ground-to-ground strategic ballistic missile and approved its deployment “for action”, the state-run Korean Central News Agency (KCNA) reported on Monday. Pyongyang launched a medium-range ballistic missile (MRBM) from the country’s northwest on Sunday afternoon local time, U.S. Pacific Command (PACOM) confirmed on Sunday. South Korea’s Joint Chiefs of Staff (JCS) had previously reported that North Korea had launched the missile at 1659 KST near Pukchang in South Pyongan province. The missile traveled around 500 km and landed in the Sea of Japan, according to reports. The Pukguksong-2 (KN-15), which was described as a ground-to-ground medium-to-long range strategic ballistic missile, was first launched on February 12. South Korea’s JCS previously described the missile as a new type of solid-fuel intermediate-range ballistic missile (IRBM). The North said this test was the “final launch test” before its deployment to the Korean People’s Army (KPA). 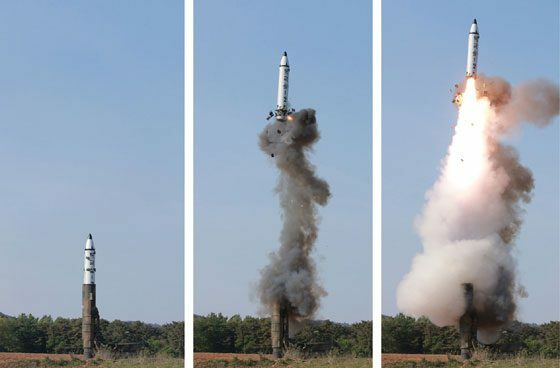 “The test-fire of Pukguksong-2 was aimed to finally verify all the technical indexes of the weapon system and thoroughly examine its adaptability under various battle conditions, before its deployment to military units for action,” KCNA said in an English-language dispatch. 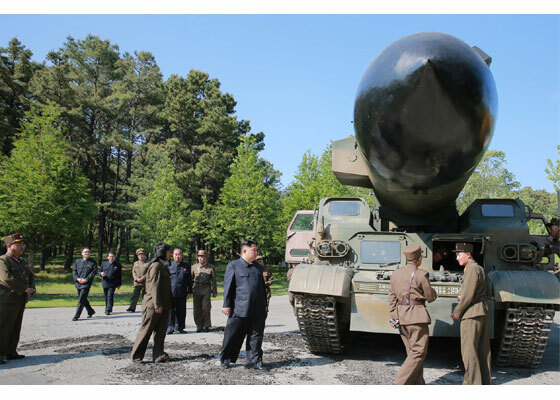 Kim analyzed the results of the test-launch with workers at an observation post and expressed his “great satisfaction”. “Saying with pride that the missile’s rate of hits is very accurate and Pukguksong-2 is a successful strategic weapon, [Kim] approved the deployment of this weapon system for action,” KCNA said. 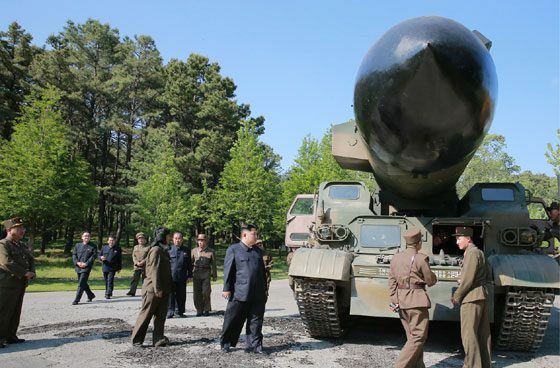 “Now that its tactical and technical data met the requirements of the Party, this type of missile should be rapidly mass-produced in a serial way to arm the KPA Strategic Force,” KCNA reported Kim as having said. General Kim Rak Gyom, commander of the KPA Strategic Force, also reportedly attended the test launch. 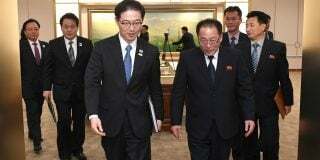 KCNA gave more details about the technical aspects of the test in a Korean-language dispatch. The reliability and accuracy of the cold launch system from a tracked transporter erector launcher (TEL), the working and operation features of the high thrust solid fuel-powered engines, as well as the guidance and stabilization systems of the missile “during its active flight”, among other things, have been “completely verified,” a report said. 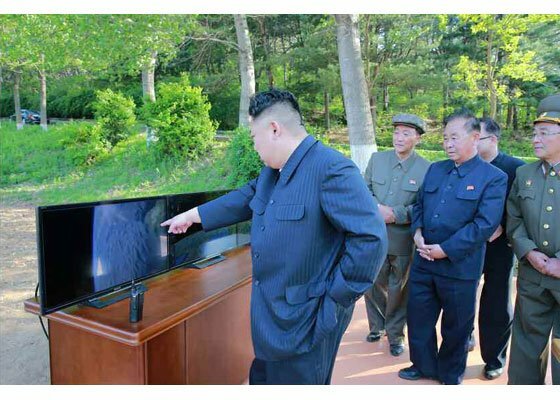 The accuracy of the attitude control system on the missile can be tracked by image data transmitted from the camera installed on the nuclear warhead, KCNA added. One expert said North Korea’s insistence that the missile could now be “mass-produced” was significant, but added that the claim could not yet be verified. In August, the North claimed a test of a submarine-launched ballistic missile (SLBM) had been a success, describing it as having been carried out without “adverse impact” on neighboring countries. Land-based testing of the Pukguksong-1 SLBM began as early as 2013, when a test-stand at Sinpo was built, and the first confirmed submerged test launch was conducted in May 2015. The Pukguksong-1 SLBM is believed to be based on the visually-similar Soviet-designed R-27 Zyb (NATO reporting name SS-N-6) SLBM. 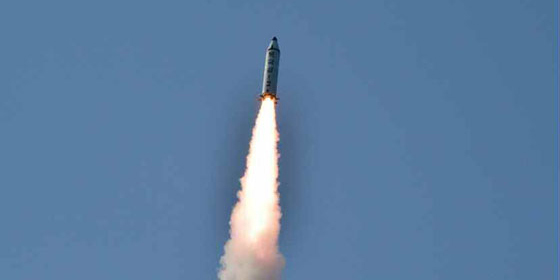 Another expert said the rapid testing and deployment of the Pukguksong-2 was concerning. 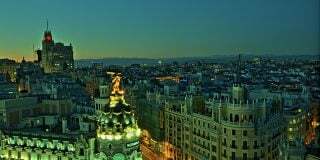 “It is a solid propellant missile that could be harder to detect before launch,” Anthony Ruggiero, a Senior Fellow at the Foundation for the Defense of Democracies, said. 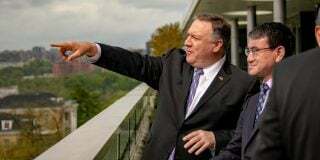 “I think the missile was relaunched after correcting and making up for defects which were found in test-firing conducted in February,” Kim told NK News. 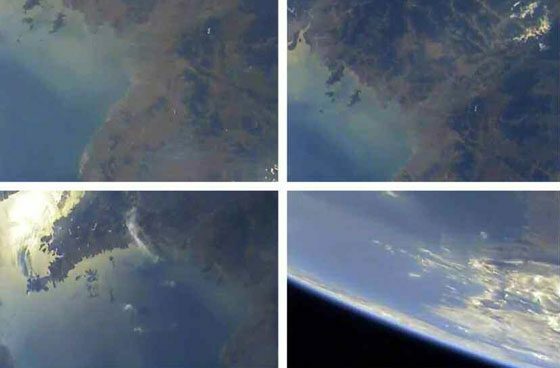 Kim said both missiles fired in February and May reached an altitude of around 560km and traveled 500km, and that the Pukguksong-2 may be capable of flying between 2000 and 2500 km. Kim also suggested the possibility that this launch could “lead to the development of the solid propellant ICBM,” arguing that the first stage of KN-14, the liquid-fuel ICBM, is made of a cluster of two Musudan engines. 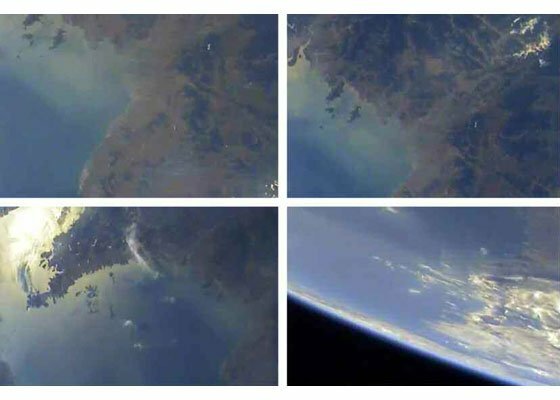 Meanwhile, South Korea’s JCS argued on Monday that “additional verification” is needed to confirm the warhead’s stable re-entry into the atmosphere. “But South Korean and U.S. information authorities estimate that the North obtained meaningful date to improve the reliability of missile technology through the missile launch conducted yesterday,” JCS spokesperson Roh Jae-cheon told media during a regular news briefing.